In 2004 benaderde Aveda William McDonough en Michael Braungart, de bedenkers van Cradle to Cradle (C2C) en vroeg hen zo veel mogelijk objectieve kritiek te leveren. Met die raadgevingen en aanwijzingen is men mee aan de slag gegaan en inmiddelszijn drie shampoos, drie conditioners, een gezichtscrème C2C Gold gecertificeerd en hun verpakkingen zijn C2C Silver gecertificeerd. Aveda’s C2C certification and endorsement are the culmination of 30 years of socially and environmentally responsible business practices. This latest milestone comes at a time when the U.S. administration and national governments around the world are issuing calls for businesses to adopt energy and operational practices to advance environmental responsibility and help stimulate economic growth, an approach Aveda has pursued since its founding in 1978. Conseil noted that Aveda’s adherence to its core environmental values has been nurtured alongside growth in sales and profit. The company has made remarkable progress in energy conservation and the use of renewable energy and is currently the largest buyer of green energy in Minnesota and the 32nd largest purchaser in the US. And these strides have been made without compromising business performance. The company’s sales have grown five times in 10 years. The C2C endorsement recognizes Aveda not just for the products it creates, but for the company’s overall commitment to ingredients, materials, and processes to create a positive environmental footprint. Aveda received Gold C2C designation for seven key products and Silver C2C designation for its packaging. 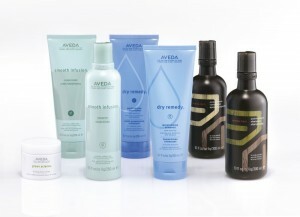 The Gold certified products are: Aveda Smooth Infusion Shampoo ; Smooth Infusion Conditioner ; Aveda Dry Remedy Moisturizing Shampoo ; Dry Remedy Moisturizing Conditioner ; Aveda Men Pure-Formance Shampoo ; Aveda Men Pure-Formance Conditioner ; and Green Science Firming Face Creme .